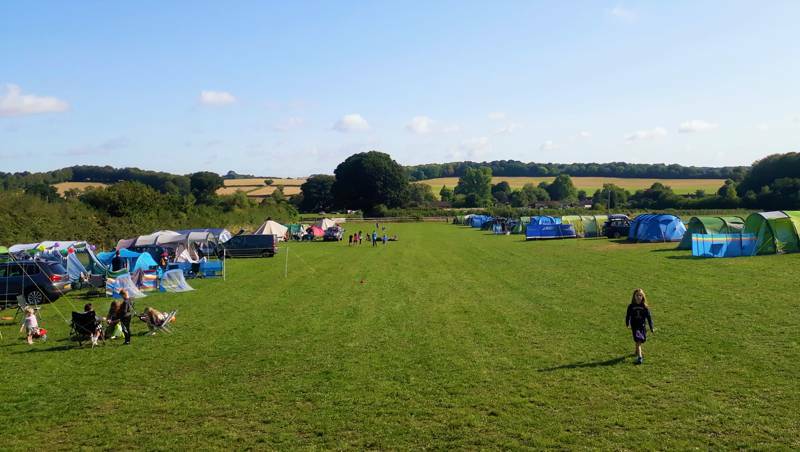 Perched on a hill just outside the pretty market town of Wimborne, with far-reaching views across the Stour Valley, Farrs Meadow is a rural camping gem with a wonderfully relaxed atmosphere. It’s a perfect choice for anyone looking for a touch of wilderness that’s not too far from civilization. 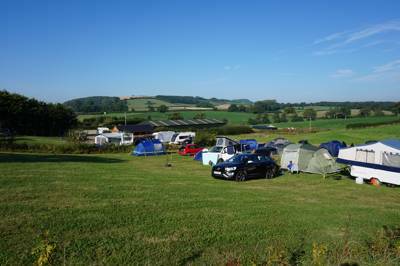 The campsite is small and delightfully car-free, with a quad bike available to carry your tent and belongings to your pitch. 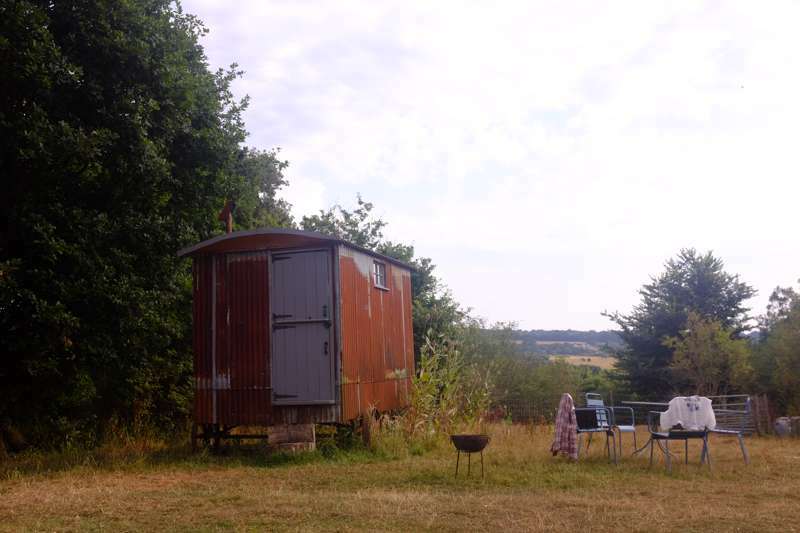 Quirky showers have been imaginatively installed in upcycled old horseboxes, which are deceptively spacious and the perfect setting to listen to nature’s chorus whilst taking your morning shower. More horseboxes dotted around the campsite host compost loos, and the washing-up area makes ingenious use of disused cattle troughs, converted into long, deep metal sinks. 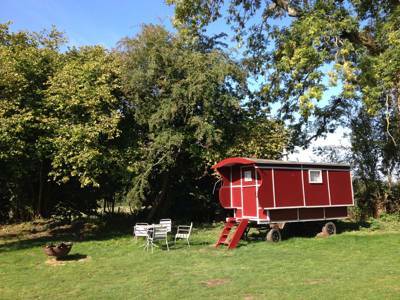 There is a separate paddock for campervans, or those looking for a bit of extra comfort can choose to stay in a yurt or the tastefully converted stable – both of which are comfortably furnished with a double bed, two single beds, fire pits and outdoor furniture. 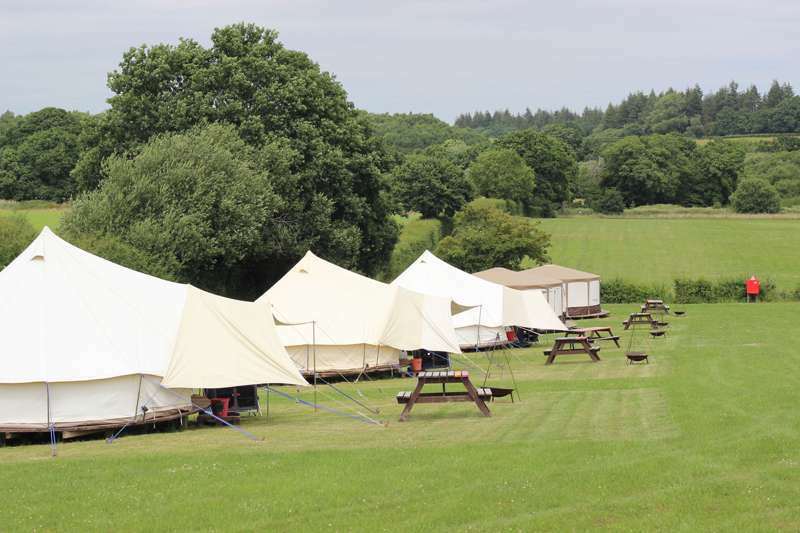 The main field is enclosed by beautiful mature trees that give dappled shade in the sun and shelter in the rain. 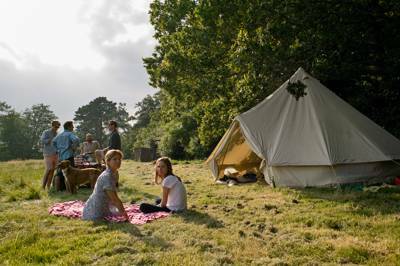 During the day buzzards circle overhead and in the surrounding woodland you can hear the drill of the woodpecker, while at night bats emerge from the trees and dart between the tents, feasting on moths that are attracted by the campfire and torchlight, and the long grass emits an ‘LED-like’ glow from the glow worms. Wimborne is only a 15-minute walk away from the site, worth visiting for the famous Minster of St Cuthberga, one of the finest churches in Dorset; and it’s just a short stroll down the hill to the picturesque meandering River Stour, where you enjoy a wild swim under the Eye Bridge with just brown trout to keep you company. 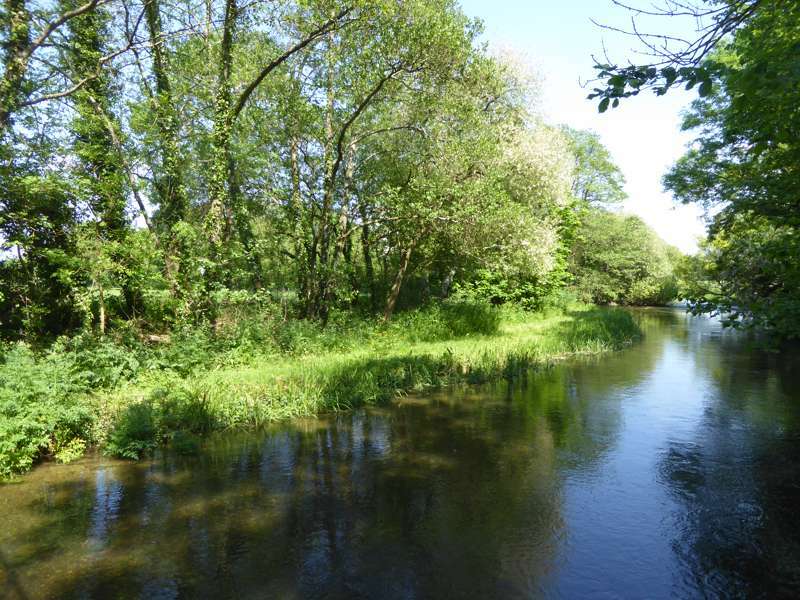 Wander a little further to try your hand at catching them, with fishing permits sold on site for angling both in the Stour and also in the adjoining River Allen, a celebrated chalk stream for fly-fishing. When evening descends, however, you’ll find the best policy is just to settle down on one of the giant logs encircling the campfire in the main meadow and toast a marshmallow or two on the open flames. 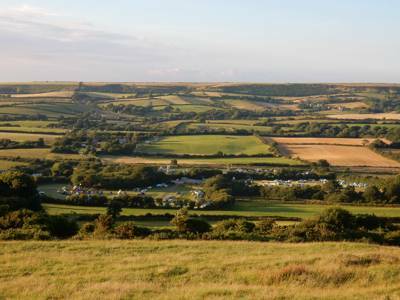 And if the weather doesn’t agree, then fear not – it’s a 10-minute walk to one of the coolest little pubs around, the National Trust-owned Vine Inn – a unique Dorset bolthole with a tiny bar that seems to encapsulate everything that’s great about camping here: a small, independent place ensconced in beautiful countryside. 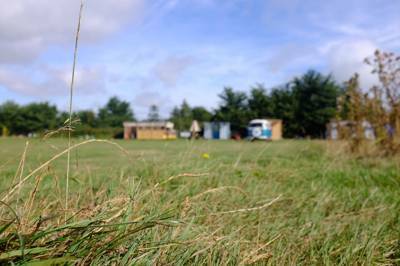 For latest availability and best prices for Farrs Meadow, please use the Date Search above. 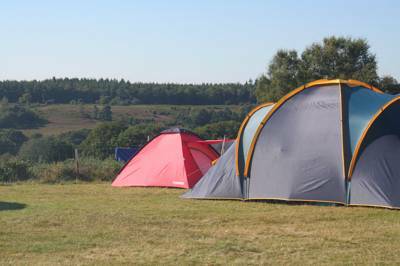 Meadow pitch £25 (for a tent and two people); Extra adults £10, Children (over 2) £5. 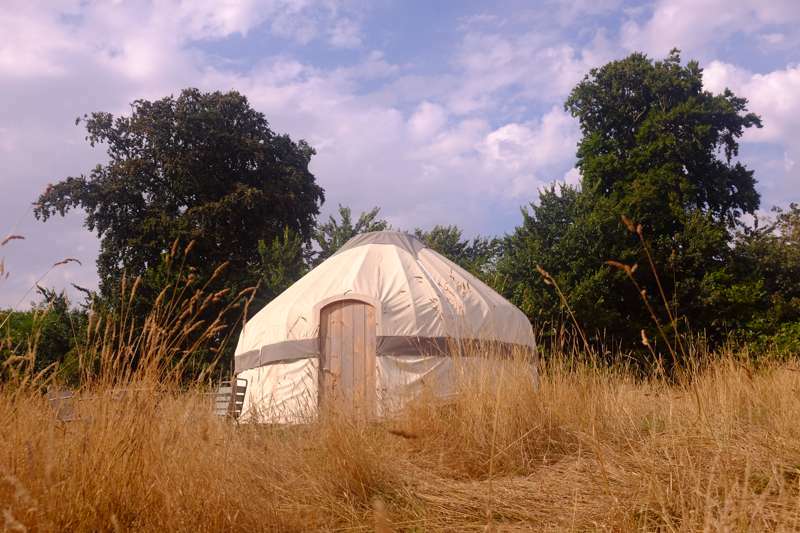 Furnished Yurt: £120 per night. 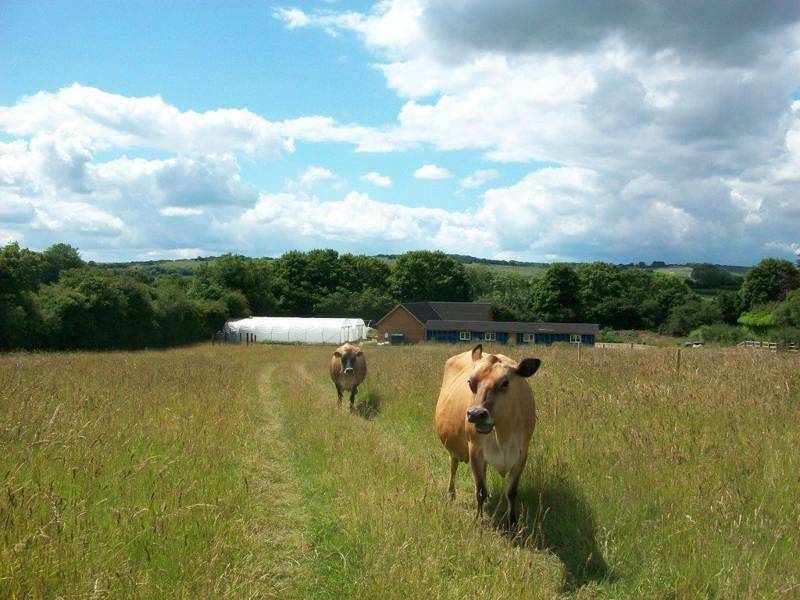 2 night minimum stay (3 night during bank holiday weekends). 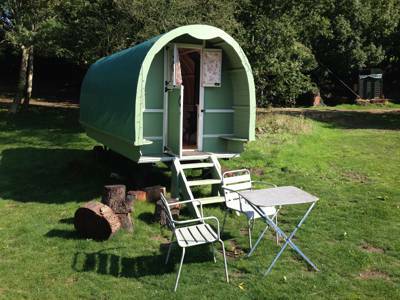 Furnished Gypsy Wagon £120 per night. 2 night minimum stay (3 night during bank holiday weekends). 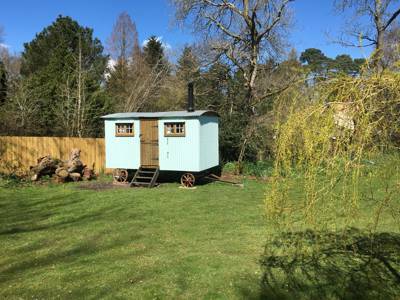 Furnished Shepherd Hut: £120 per night. 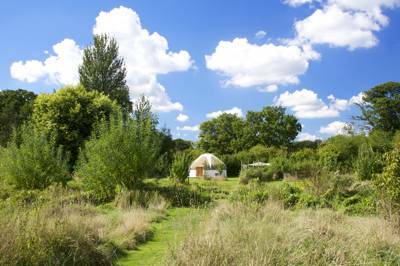 2 night minimum stay (3 night during bank holiday weekends). 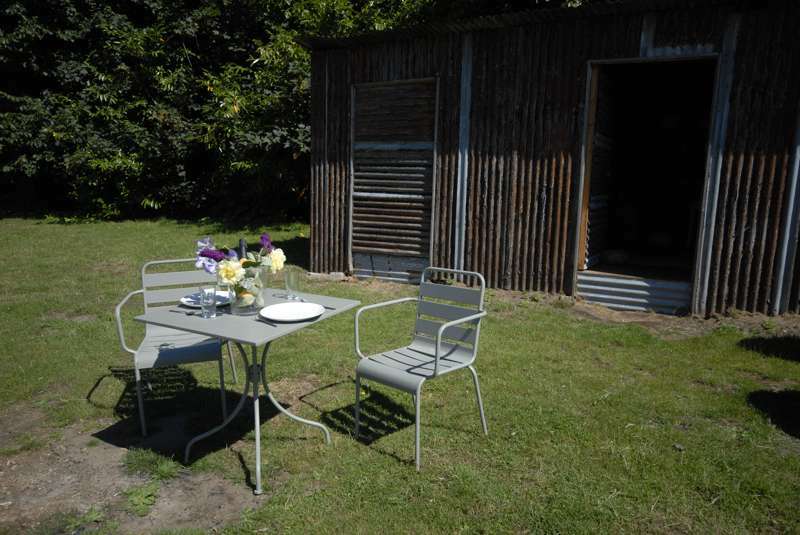 The Old Stable: £150 per night. 2 night minimum stay (3 night during bank holiday weekends). 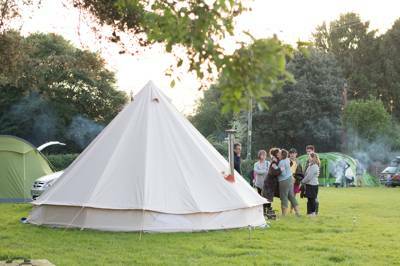 Firepit rental: £5/night or £10/night for large, Logs available onsite.